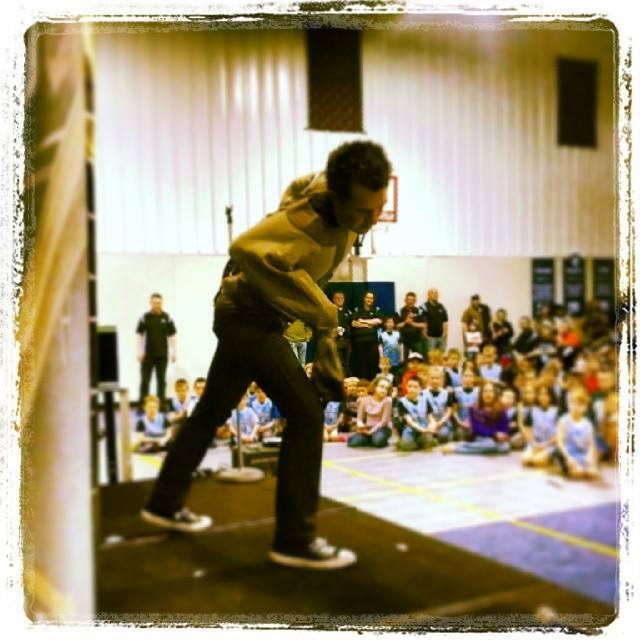 Now is the time to book Christian Illusionist Brett A Myers for your next Upward speaker or Spring event. 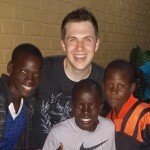 Brett has been a favorite Upward speaker for many leagues year after year. Click here to book now! Brett will only be available for a limited time as his Lancaster theater shows launch again on April 18th. 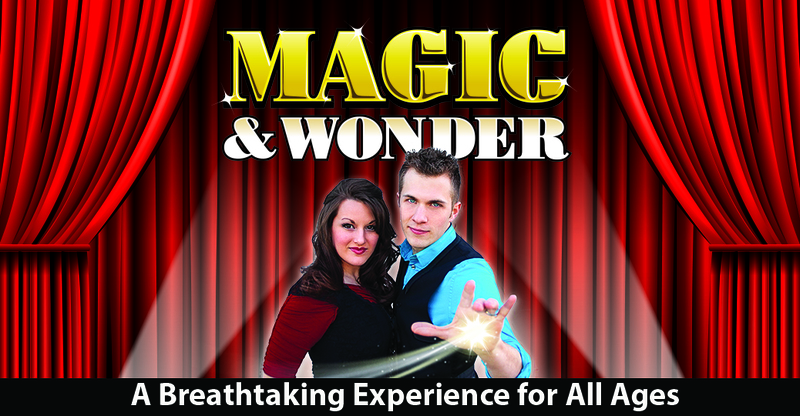 Though it’s only the end of August, Christmas is coming quickly and Christian illusionists Brett & Labrina Myers can add a very special “Wow Moment” to your Christmas banquet, corporate party, or special outreach event. 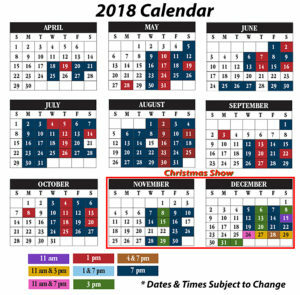 During the months of November and December, we offer the Wonder of Christmas show. This show fuses amazing illusions with best of the holiday spirit to take the audience on a journey of joy, hope, and the true meaning of the season. Ultimately, Christian illusionist Brett reminds people that the birth of Christ is God’s greatest present to the world. If you would like to host Christian illusionist Brett for this very special show, head on on over to our contact page and fill out a contact form. We would love to talk with you about partnering with you for this very special time of the year. 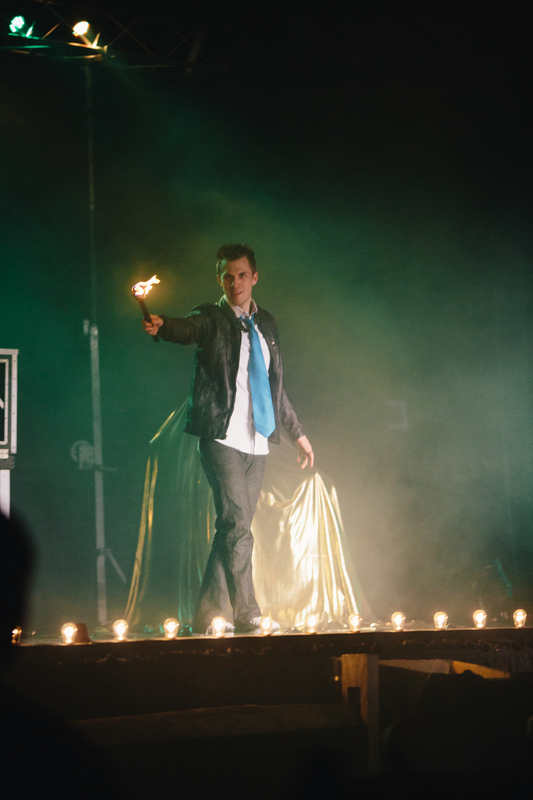 Last month, Christian Illusionists Brett and Labrina Myers experienced a new form of magic. 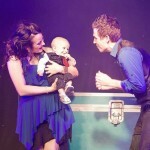 They were joined on stage with their 4-month-old baby boy, Starlin. Brett explained that since he was a child, he had a special box for his most magical items. When he started learning illusions, those items included cards and disappearing balls. But now the box is a bit larger. When a giant case rolled out onto the stage, the assistants appeared confused to see it was empty. However, as soon as Brett reopened the lid, Labrina and Starlin stood up to greet the audience. You can see a complete video of Starlin’s magical debut by going to our YouTube channel. The people of Uganda have experienced much pain and loss in recent decades due to war, political corruption, and the AIDS epidemic. Many children are left orphaned or in families that are unable to provide for their most basic needs. Watoto’s vision is to care from these children from birth to adulthood and to empower them to lead Uganda to a brighter future. Christian illusionist Brett used his art of illusions to illustrate the truth that God has a plan for each of the student’s lives. But Illusionists Brett and Labrina agree that they were both personally challenged by the joy and thankfulness displayed in the people they met. Pictures of their trip are uploaded to their media page here. 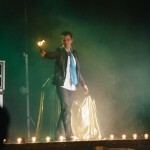 Last year was one of the busiest years Christian Illusionist Brett Myers and his wife Labrina have experienced to date. Their travels ranged from California to Maine, Texas to Minnesota, and many states in between. 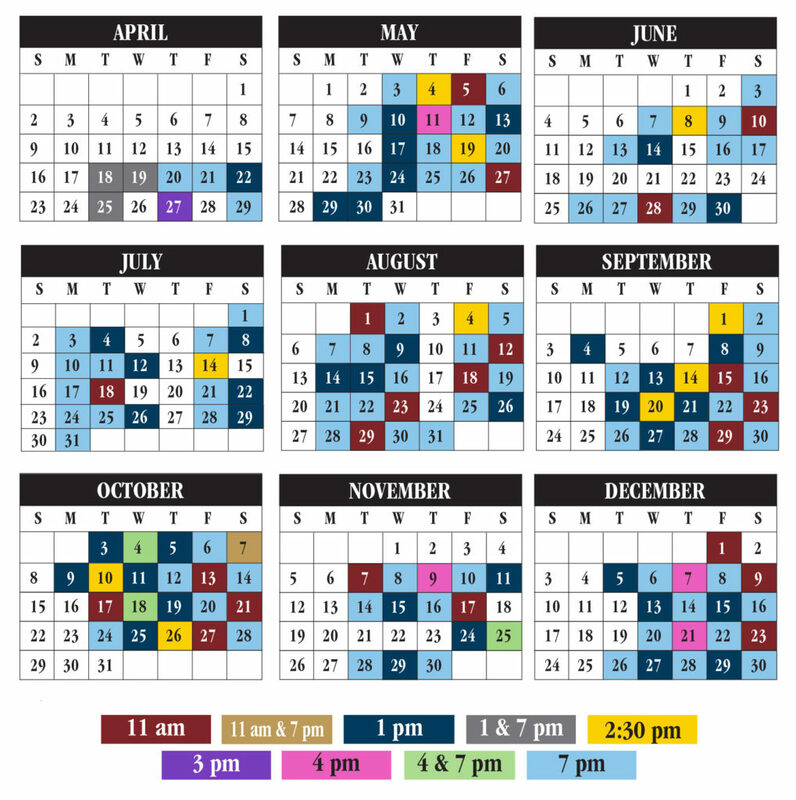 This year is looking to be just as exciting as the last. However, the touring model is shifting slightly as Brett and Labrina are expecting their first child the end of May. 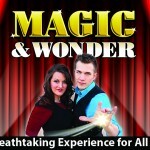 Christian Illusionists Brett and Labrina already have many illusion shows confirmed for this year, and they are currently booking for this year. To request information about having them partner with you for your event, fill out a contact form here. On May 30th and 31st, Christian Illusionist Brett A. Myers will be partnering with WJTL to raise funds for HOPE International. HOPE is a Lancaster-based organization that seeks to stimulate economic growth in the poorest communities of the world through training, savings, and small loans. The show, titled “The Wonder of HOPE,” will transport you to a world where mystery and illusions abound. 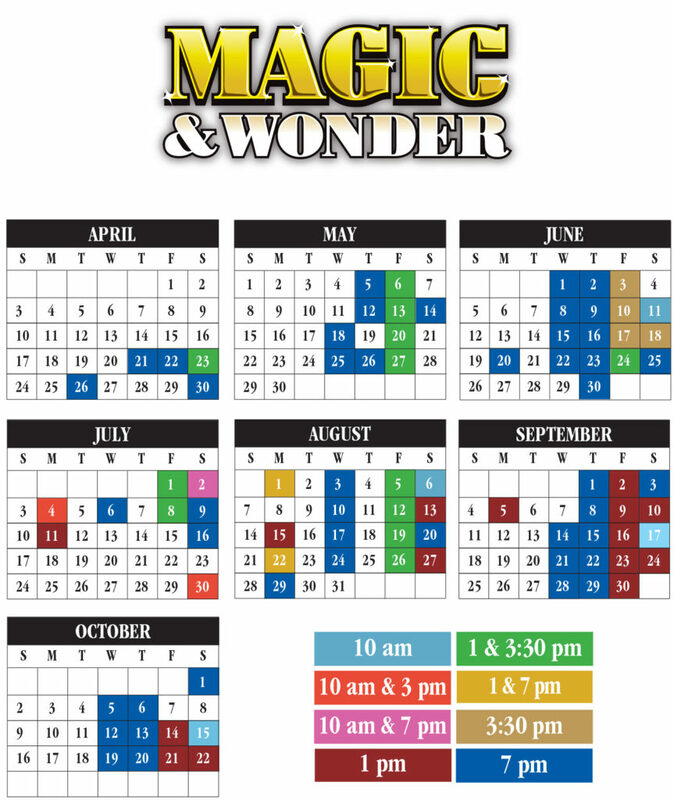 May 30th and 31st, Brett will be joined onstage at The Junction Center in Manheim, PA, with a full cast, live animals, and his grandest illusions for a two-hour theatre spectacular. 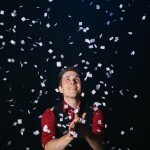 Last year, Christian Illusionist Brett Myers debuted his expanded theatre show in Hagerstown, MD. Audience members saw classic illusions such as a woman floating in the air and a girl disappearing before their eyes. 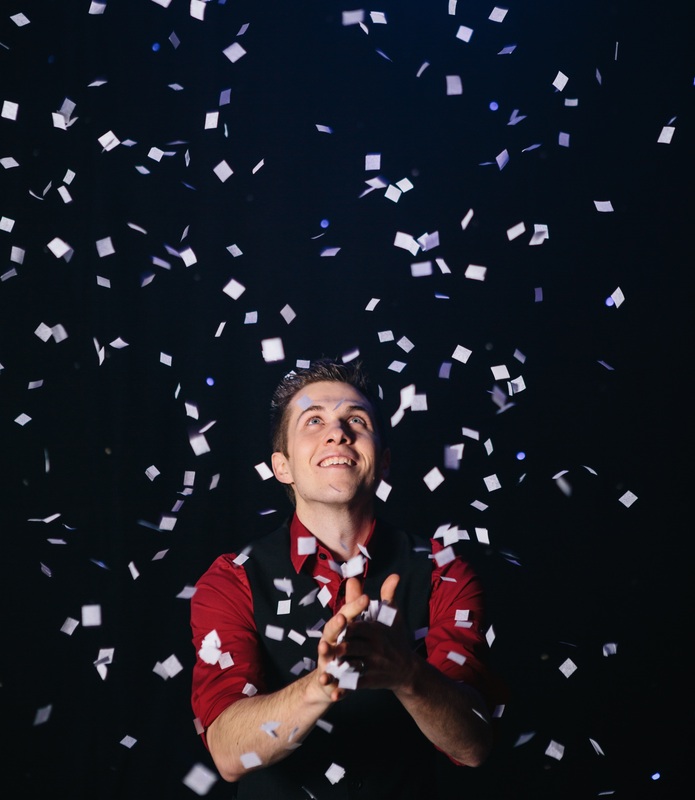 This year, Christian Illusionist Brett is adding even more never-before-seen acts to the show, including a new aerial silks routine in which his wife, Labrina, flies high above the audience. 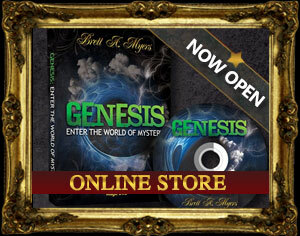 Brett Myers uses his illusions to inspire wonder, yet he desires his audience to remember more than just the magic. A portion of every ticket sold will go to benefit the poverty-relieving efforts of HOPE International, to help make a positive difference in communities around the world. Brett and Labrina Myers travel full-time performing Christian illusionists and sharing their passion for art, hope, and life. They partner with theatres, community organizations, and churches nationwide; and they currently reside in Mount Joy, PA.